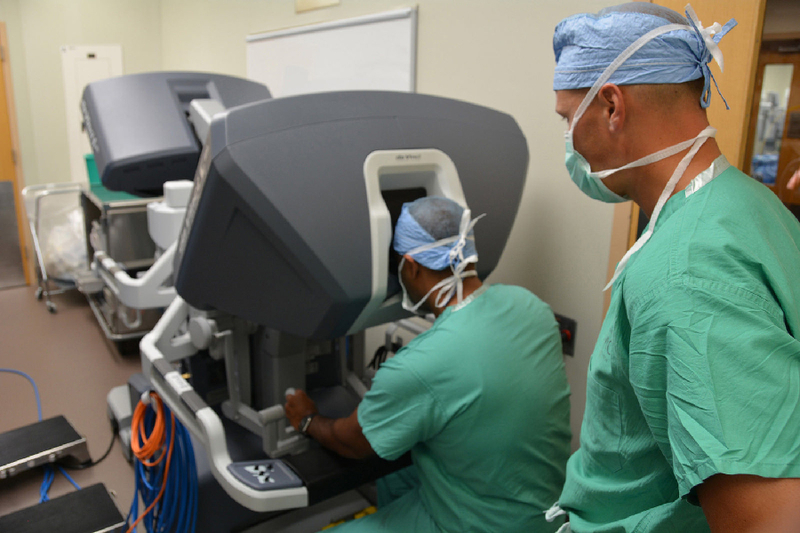 Robotic surgery has long been dominated by Intuitive Surgical which has placed more than 3,600 of its da Vinci machines in hospitals around the world. Nevertheless, an increasing number of new players are entering the marketplace. The number of surgical procedures that use Intuitive Surgical’s machines, ~700,000 in 2015, has steadily risen and was 15% year-over-year 2014 to 2015. According to Fortune, within five years 1/3 of U.S. surgeries (from 15% today) will be performed with robotic systems, with surgeons sitting at computer consoles guiding mechanical arms. Most top hospitals have invested in these robots which cost an average of $1.5 million and entail ongoing maintenance and procedures’ expenses. The metrics, however, are such that insurers pay no more for surgeries that utilize the systems than for other types of minimally-invasive procedures, such as laparoscopy. Because of patents and aggressive protection of their IP, Intuitive Surgical is the only game in town. But technology is improving, methods are changing, and a fleet of new competitors – some with very deep pockets – are entering the marketplace. One market analyst said that “robotics has only penetrated 5-10% of surgical procedures so there is a big opportunity for increased expansion for several players in the market.” In the chart prepared by Verb Surgical, one can see the growing blue of robotic-assisted procedures and the barely touched laparoscopy procedures on the horizon. “The surgical robot device market was estimated to be $3.2 billion in 2014 and forecast to reach $20 billion by 2021 as next generation devices, systems and instruments are introduced to manage surgery through small ports in the body instead of large open wounds. The market is characterized by enormous variety and innovation. Products range from snake robots to navigation systems to highly articulated devices such as the da Vinci system. This growth industry will involve many shifts in ownership and funding,” suggests WinterGreen Research in their 553 page, $4,000 report published in April. New robots will need to outperform laparoscopic surgery. Robots must provide a way to feel the body’s tissue remotely (haptic sensing), and have better vision quality. New systems will also need to be priced low enough to entice hospitals and outpatient surgical centers that have not yet invested in a da Vinci, as well as convince those with established robotic programs to consider a second vendor or switching suppliers altogether. Verb Surgical, with deep pockets from partners Google/Alphabet and Johnson & Johnson, and next-gen robotics technology licensed from SRI, Verb is building a surgical platform that will leverage robots, advanced imaging, machine learning, big data, and advanced instrumentation so physicians can use it in both open and minimally invasive procedures. In other words, their goal is to “democratize surgery” and give physicians more choice. Verb also envisions a system that is “always there, always on,” enabling the surgeon to use the robot for parts of a procedure as needed. Both Google and J&J are expected to focus on big data. “Being able to record and analyze your procedure from a big data point of view can really help make robotic surgeries more repeatable,” said one financial analyst. Medtronic, another deep pockets provider, is partnering with Mazor Robotics to buy and promote Mazor’s surgical spine systems. Medtronic also bought the gynecology business unit of Smith & Nephew, a competing medical device company, and Covidien, a Boston surgical robotics company that was developing a competing surgical robot system to the da Vinci, to help jump-start Medtronic’s entry into this segment of the business. Medtronic has said it expects to launch its surgical robot before mid-2018 and will start in India. TransEnterix, a Canadian publicly-traded company, recently had a setback with their SurgiBot System which was turned down by the FDA. They’ll have to go through a long and arduous trial process which may take a few years to get approved. As a backup plan, TransEnterix acquired the surgical robotics division of SOFAR Spa, an Italian healthcare and pharma company which has spearheaded the TELELAP ALF-X project (Advanced Laparoscopy through Force Reflection) for many years. TransEnterix just made their first sale of the ALF-X system to a hospital in Milan, Italy. 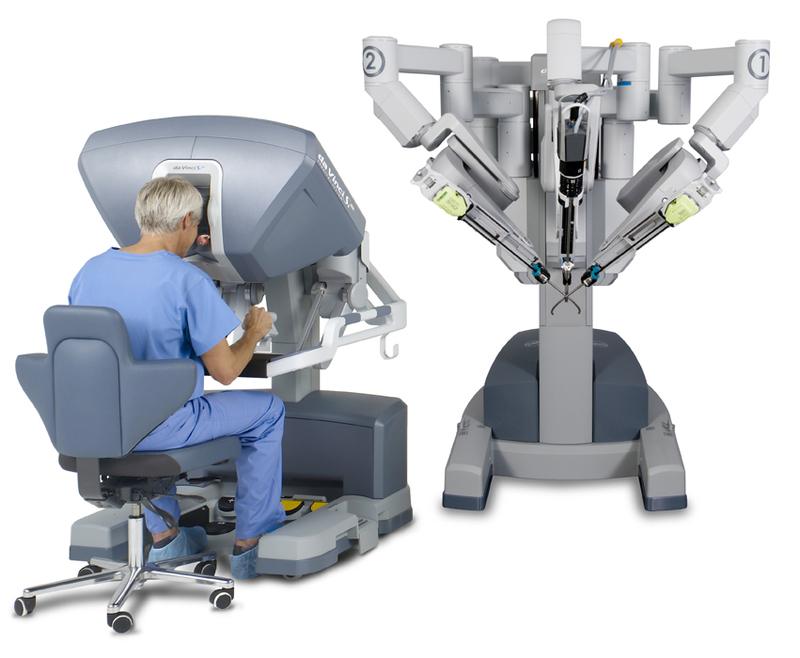 The ALF-X is a slightly cheaper robotic system with lower costs-per-procedure than the da Vinci Xi system. The four-armed Alf-X, which has many features that da Vinci lacks such as eye-tracking software and haptic feedback which enables surgeons to regain a sense of touch and pressure feedback that they currently have to forgo. TransEnterix has been granted a CE Mark for the ALF-X but doesn’t yet have FDA approval. Titan Medical, a Toronto-based publicly-traded company, is developing the Sport Surgical System, a system with a surgeon workstation, a mobile cart for single-incision camera and tube insertion, and a line of multi-articulated instruments, which will debut in the United States mid-2017. The Titan robotic surgical system is being designed to expand robotic surgery into areas of surgical specialities and simple and complex procedures that are currently underserviced, and to allow surgeons to perform procedures within small to medium size surgical spaces such as general surgery and cholecystectomy. Medrobotics Flex Robotic System provides robot-assisted visualization and surgical site access to the larynx in adults and allows the use of a whole range of compatible flexible instruments through accessory channels it creates. Their system enables minimally invasive procedures in locations that were previously difficult-to-reach. Smith & Nephew, the same company that sold their gynocological division to Medtronic, recently acquired Blue Belt Technologies, which developed and offers a hand-held surgical system they call Navio for partial knee replacement using advanced robotics-assisted instruments. Navio integrates hand-held instruments with a CT-free navigation, registration and patient-specific planning process so that the surgeon has a virtual plan which removes the need for standard mechanical cutting guides and jigs. OMNI, previously named Orthopaedic Synergy and OMNILife Sciences, offers their OMNIBotics robotic-assisted hip and knee replacement system that combines navigation robotic systems and practices, implants, specialized tools, and patented technology, with advanced robotics, to help surgeons place and fit implants with greater accuracy compared to conventional approaches. Auris Surgical Robotics recently announced that Fred Moll, the entrepreneur behind Intuitive Surgical, Hansen Medical and Origin Medsystems, received $149.5 million in equity funding for his stealthy startup. Auris, founded in 2011, described itself as a venture-funded company developing a robotic microsurgical system designed specifically for ophthalmic surgery. The company says they are deep in stealth mode with no comment about the funding or how it will be used. However, they purchased Hansen Medical in a deal which transfers intravascular robotic technology and IP to Auris. Medtech designs, develops and markets a new generation of robotic assistance for the express purpose of improved surgical techniques. Medtech has two robotic products: ROSA and ROSA Brain. ROSA is an integrated multi-application console that acts as a reliable and accurate surgical assistant and a 6 DOF arm whose architecture replicates the movements of a human arm. To date, ROSA is the only robotic assistant approved for neurosurgical procedures in clinical use in Europe, the United States and Canada. Cambridge Medical Robotics (CMR) is a UK startup developing a universal robotic system for minimal access surgeries. CMR received $20 million in a Series A funding round in July and is developing a next-generation robotic system to meet all of the perceived needs of robotically-assisted surgical procedures as well as to expand the market and make the benefits of minimal access surgery universally accessible and affordable. There are other companies in the process of researching and developing robotic surgical devices, particularly in Korea, Japan and China. These include some well-funded and well-established medical device companies getting governmental support to help them be competitive with Western medical robotic companies. Those companies will be profiled in a future article. da Vinci Si System with single-site instrumentation ©2016, Intuitive Surgical, Inc.
Intuitive is quite profitable. In their most recent quarterly earnings report (Q2 2016) they showed 16% growth year-over-year and net income of $185 million for the quarter, compared with $135 million for the same quarter of 2015. Intuitive also has problems: according to its 2015 Annual Report, the company is a defendant in 92 individual product liability lawsuits about patients who were either injured or died. The company is also a defendant in a Missouri lawsuit that represents 55 plaintiffs. To settle other lawsuits Intuitive recorded pretax charges of $13.8 million and $82.4 million in 2014 and 2015, respectively. Aside from battling legal claims, the company has also faced criticism from those who question the value of robotic surgery. The Wall Street Journal reported that researchers at Columbia University found robotic surgery led to higher costs and more complications when compared with laparoscopic surgery for removing ovaries and ovarian cysts. Conversely, the study barely mentioned that the results were reversed for prostate surgeries.